This item may be customized. Please see below for customization instructions. ADC's Prosphyg™ Series home blood pressure monitors provide a safe and affordable method for staying on top of blood pressure in the comfort of home. 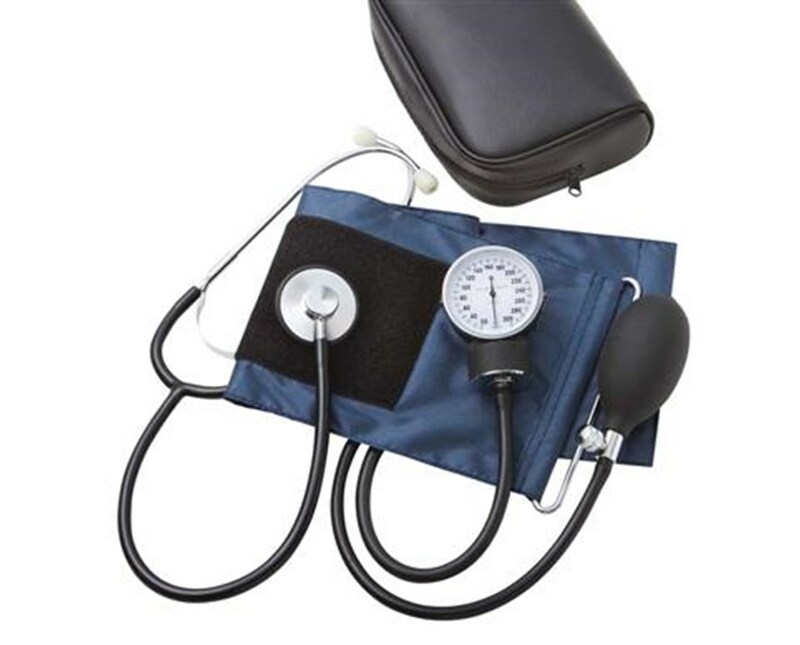 Easy to use and clean, lightweight, and comfortable, these monitors are available in a variety of options and include everything necessary to obtain accurate blood pressure measurements. 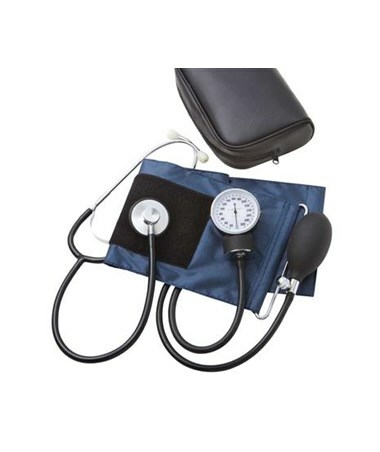 The 780 series features a black enamel 300mmHg manometer and navy blue latex-free nylon D-ring self-adjusting cuff for simple one-handed cuff application, available in sizes small adult, adult, and large adult. The inflation system consists of a latex-free inflation bladder and bulb plus chrome-plated deflation valve. The added convenience of a diaphragm-only blood pressure scope with black PVC tubing makes this monitor a complete, well-rounded package. The 790 series includes all of the features of the 780 series, except the diaphragm-only scope is attached to the cuff for even further simplicity. Each monitor comes complete with leatherette zippered carrying case to ensure protection, portability, and long instrument life. Choose a scope and cuff size from the drop-down menus in the upper right corner of this page. Small adult: fits arm circumference 7.4"-10.6"